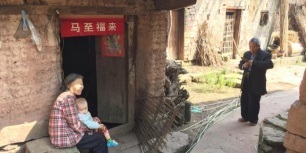 Xiaowu Village located at Xinglong Town of Chongqing, about 2 hours drive from main town. There is a river point in Xiaowu Village. Water is rapid after rainy season. Villagers wade across the river is very dangerous. In July 2012, 70 years old was flushed down the river and killed. In 2015 summer, 1U1V team decided to build a footbridge for the village. 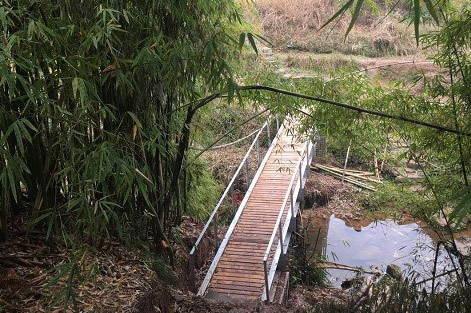 This project combined with rural bridge research programme and use of rich bamboo resources in South China, a bamboo structured bridge will be adopted after ensuring its safety and durability through research. The team also hopes to develop a suitable bridge solution and provide demonstration for other rural areas. Experimental study will be jointly carried out with Tsinghua University. 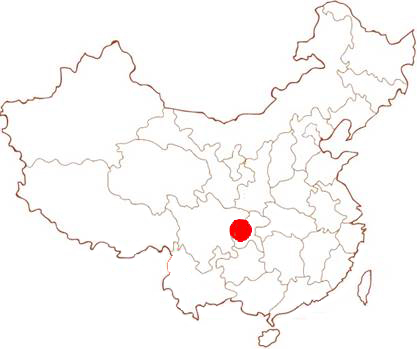 The proposed bridge will benefit to the villagers of Xianwu Village and Qishan Village who are mainly Han Chinese. Two villages have 725 households with 2025 population. 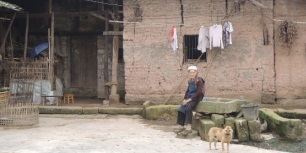 Most elderly and children are left behind in the villages. Villagers primarily grow rice, corn and vegetable. Without a bridge, the villagers relied on a low stone board to cross the river for production, life and the market. 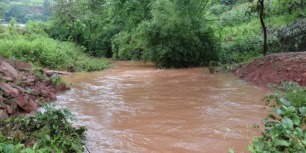 During rainy season from the end of April every year, the water level can rise to around 1 to 1.5 meters in height. Water crossing becomes highly dangerous. There is a crossing point in the other direction of the Yi Xin Qiao. During the busy season, the villagers will frequently use the stepping stones to cross the river and transport the production materials. To improve the commutations of the villagers, the team worked with the villagers to complete a steel bridge in mid-February 2018. In the past six months, with the assistance from Chongqing Jiaotong University, Tsinghua University and Columbian architects, the team made use of the abundance of moso bamboo in southern China in the project and sucessfully built a covered bamboo arch bridge measuring 13.5 meters long and 2.9 meters wide in July. The bridge, incorporating the idea of sustainability and modern knowledge of mechanics, is named "Yi Xin Qiao". The team spent four months to complete the whole process including design, component finishing, foundation work and installation on site. Please click here to see the work report (in Chinese version only). The team visited the village again in Dec and carried out a geology survey for the proposed bridge location. Meanwhile, they collected upstream and downstream hydrological data and local labour and material cost information which can help the design and construction work of the bridge. A joint investigation was conducted by CUHK team and the research team from Chongqing Jiaotong University in Oct. The teams met the representatives from Chongqing Transportation Commission and local village committe and learned more about the policy of the city and rural transport development and the real situation of Xiaowu village. Such information helps a lot for the bridge planning. Meanwhile, the team cleared the land use issue during the meeting. In Jun, the team firstly visited the village and conducted the investigation. During the process, they built up a good relationship with local village committee.